After arrive in Amritsar Airport or Railway station drive to hotel. 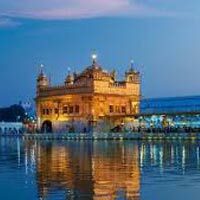 On arrival check in to the hotel and evening time drive to sightseeing of "Golden Temple".Golden Temple in Amritsar known as Swran Mandir also. 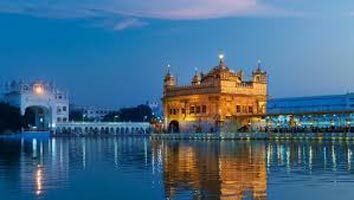 The Golden Temple in Amritsar, India is the most sacred place of the Sikh Religion and where Guru Nanak lived and meditated. Evening time return back to hotel. Dinner and overnight stay at hotel. Today after breakfast proceed to visit Jallianwala Bagh and Durgiana Mandir. In the afternoon drive to Wagah Border and attend Beating Retreat ceremony. The ceremony takes place every evening before sunset at the Wagah Border. The ceremony starts with a blustering parade by the soldiers from both the sides, and ends up in the perfectly coordinated lowering of the two nation’s flags. Evening time return back to hotel and dinner and overnight stay at hotel. After breakfast check out from the hotel and drop at Airport or Railway station as desire.